Fujifilm's ASK-300 dye-sublimation is your one-source solution for a multitude of printing needs. Using FujiFilm's Image Intelligence to enhance image quality, the ASK-300 gives you the ability to produce 3 different sizes of lab-like photos in just seconds. All prints are water-resistant and last for decades. The ASK-300 installs easily with any Window's PC and works with most photo-editing programs. With 12.3 second print speeds for 4"x6" prints, the ASK-300 gives you the lab quality prints you desire without the wait. 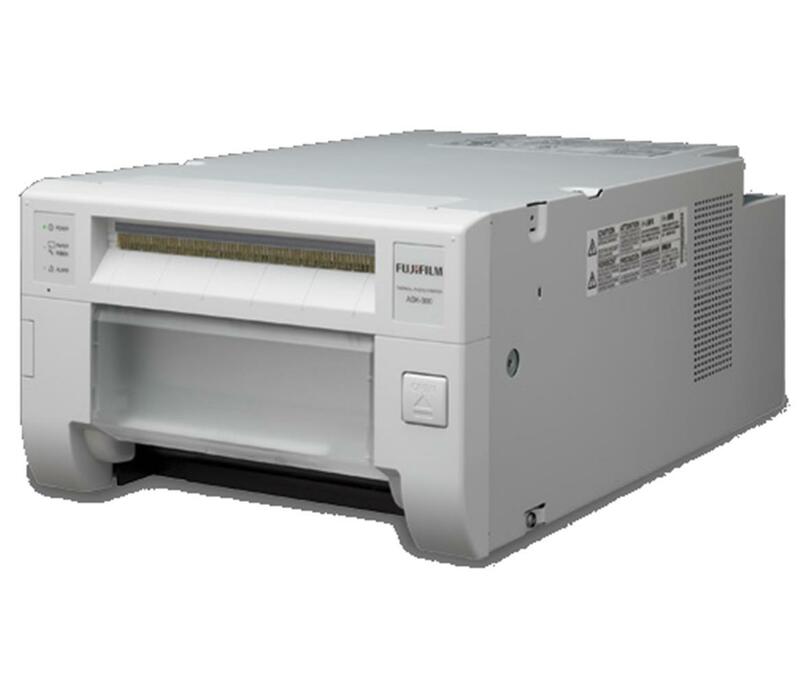 With a 1-year full parts and labour warranty and fixed print costs, the ASK-300 is the reliable, affordable, and convenient way to print your photos in your work or home office.